Former NIACC all-American offensive lineman Marshal Yanda has been selected to the NJCAA Football Hall of Fame. Yanda, who played at NIACC in 2003-04, joins former Ellsworth standout Andre Tippett and Lackawanna College (Pa.) coach Mark Duda in the 2018 class. Yanda, a current member of the Baltimore Ravens, was an honorable mention NJCAA all-American in the 2004 season under coach Dave Gillespie. After NIACC, Yanda played two years at the University of Iowa earning second-team all-Big Ten honors as a senior. Yanda was drafted in the third round (86th overall pick) by the Ravens in the 2007 NFL Draft. Yanda has been selected to the Pro Bowl six times (2011-16). He's a two-time first-team all-pro selection (2014-15) and three-time second-team all-pro selection (2011, 2012, 2016). Yanda won a Super Bowl ring with the Ravens when the they topped the San Francisco 49ers in Super Bowl XLVII. 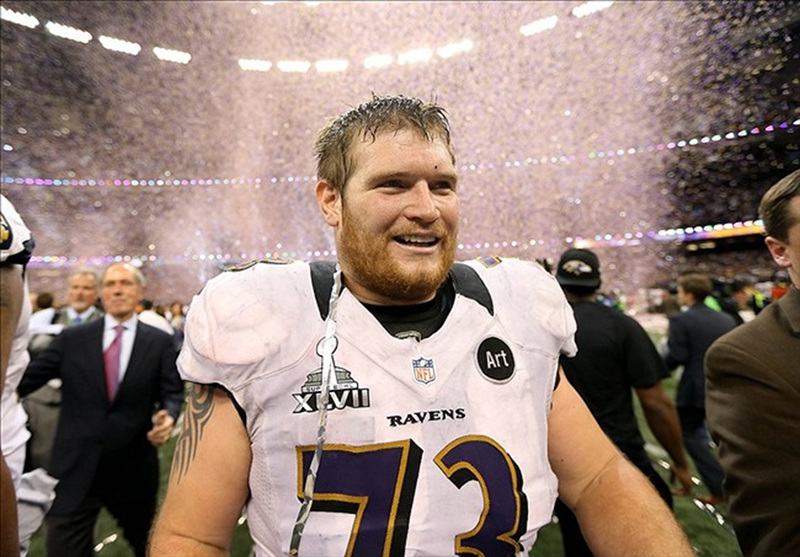 Yanda, who attended high school in Anamosa, and his wife Shannon have three children- Graham, Libby, and Logan. Yanda is the third NIACC football player to be selected to the NJCAA football hall of fame. MarTay Jenkins was selected in 2011 and Shawn Harper was selected in 1995. Tippett, who played at Ellsworth in 1978, played at Iowa and then played for the New England Patriots from 1982-93. He was inducted into the Pro Football Hall of Fame in 2008. He was a member of the NFL's all-decade team of the 1980s. Duda was a four-time Northeastern Football Conference coach of the year. He is currently the NJCAA active leader in career wins.